Since the beginning, Westchase was a small home-based corporation that serviced the Greater Houston area. 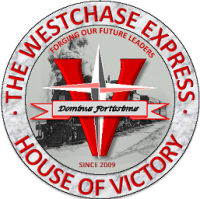 In 2016, Westchase will move its operations and services to the Express House of Victory, The 1st of what is planned to be 4 Express House of Victory will be a 10,000 to 14,000 square foot facility located in the Klein-Spring-Tomball area of Houston. Since the new facility will have a large area of space to perform expanded services, it allows Westchase to be able to start-up after-school, out-of-school programs and special events that are focused on helping the local youth to create an advantage in the classroom. The inclusion of physical training programs that are focused and individual based will also help provide the opportunity to creating an advantage on the playing surface. Helps our staff to perform with fewer outside distractions during each session. When does Westchase provide services? Why does Westchase do all of this? How does Westchase do this without charging the same as other similar services? Westchase Express Inc. is a 501(c)(3) non-profit organization and receives the majority of our funding from private donors, program sponsors, program fees, public fundraising events, and corporate matched giving programs that can be claimed in individual and corporate taxes in pursuant to IRS code 170. So as a “non-profit” organization, our Board of Directors are volunteers. Westchase’s trainers, non-Director coaches and evaluators are the only individuals that are paid personnel. So the services provided are to the level to be sufficient to maintain the services and minimal overhead. Westchase does not believe that charging the rates seen by similar services is in the best interest of those we are wanting to help, so we will make sure it is to a level that all who want assistance can afford. Who is Westchase's target demography? Westchase is open to everyone that is seeking reasonably priced services, individual focused, provides unmatched visibility, and that is focused on the youth’s success. Our programs are scalable and can be made affordable to everyone, especially those who come from low and very low income families. We do not turn away youth in need of our program due to financial status or abilities. Westchase youth programs include our newly formed “Young Gun” organization, which includes year round programs for 12 years and younger. Our “Express” programs then work with everyone older than 12 years old. Our target area is the whole Greater Houston area, with coaches and trainers in Pearland, Pasadena, Spring, Kingwood, Richmond, Sugarland, Katy, and Houston downtown. Westchase’s services provided to the target areas include: personal instruction and training, youth development programs, college entrance testing preparation assistance, youth tutoring, high school age skill evaluations, college recruiting assistance and evaluations, showcases, and camps for all ages. In the near future, Westchase plans to further expand the programs by adding additional youth programs for fast-pitch softball, along with potentially adding a Texas Central League (TCL) affiliated program. What is in the future plans for Westchase? Westchase is constantly looking to expand services and create new opportunities to reach out to everyone who is in need of our services and programs. That is why in 2016 Westchase with the help of partnering investors will look to open the 1st of what is hope to be 4 facilities throughout the greater Houston area. The facilities will be home to both academic and athletic training to help create an advantage in the classroom and on the playing field. The facility will be called the Express House of Victory. New services that will be included are: after-school tutoring, nutritional classes, summer day-camps, along with baseball and softball instruction. New programs will include: English as a Second Language (ESL) for adults and youth, year round baseball and softball teams for youth, the Houston Collegiate Summer League (HCSL) and numerous special showcase camps and tournaments. In 2017, Westchase will be the oversight and majority holder in a new Texas Collegiate League (TCL) affiliated summer premier program. The Westchase family is currently or in the near future (by 2017) comprised of 6 areas of operations and 4 governing bodies. The operational areas and governing bodies are directly responsible for the delivery of more than 12 services and programs currently offered and will be essential to 2016 and 2017 expansion of services. The hierarchy for Westchase starts with Westchase Express Inc. (WCE) and the branches out to the recently incorporated Express HoV, Inc. (WCEHoV), the Houston Collegiate Summer League (HCSL) Rules & Governing Committee, and the soon to be formed Westchase Texas Collegiete League (TCL) franchise, yet named. WCE will continue to be the controlling figure for all of the affiliated committees, front offices, and boards. WCE's board of directors, although will not be responsible for day-to-day operations for the subsidiaries, however, WCE will appoint a WCE representative as the Chairman for each group. WCE will still maintain the day-to-day operations for all of the 501c3 non-profit operations, programs and all services that are provided as part of the 501c3 mission, this will include all community focused educational, mentoring, tutoring, and youth based programs and services. WCE shall maintain the power to remove, at will, any subsidiary board members and all management of the Express House of Victory (WCEHoV) and front office of the new TCL franchise. The Express House of Victory, or simply the "House of Victory", is the 1st of 4 planned facilities that will be used to further the WCE mission by providing a fixed location for academic and athletic training, instruction and assistance for youth and young adults alike. The House of Victory will be operated under the Express HoV, Inc., a S-corporation, business structure, with the Chairman being a WCE appointed representative. The 1st facility will be in the range of 10,000 SF to 20,000 SF that allocates roughly 30% for academic resource space such as classrooms, high-tech technology space, conferenece space, and large seminar rooms. The remaining 70% will be dedicated to physical training and personal instruction. Both areas will be incorporated into the after-school, out-of-school, and special event services and programs that are initiated after opening in the summer of 2016. The 1st facility will be located in the NW area of the Greater Houston area. Future facility locations will be planned based on model popularity and how the 1st facility makes a difference in the community. In 2016, NW Wildcats founder, Jack Schulte, had decided to close what had been an AABC South Plains Region dominant organization after 30+ years in existence. WCE has accepted the rains from Mr. Schulte and long time commissioner Mr. Frank Klam. In doing so, WCE restructured the organization and as part of branding efforts to draw the best talent in South Texas, introduced the Houston Collegiate Summer League (HCSL). The HCSL is an AABC affiliated league that participates in the Stan Musial (18+ Open) age division. The league will remain a wood bat only league and include coaches and programs from the now defunct Karl Young league. In its inaugural season the league is planned to have 8-10 teams that play over an 8 week period, that will include a mid-season all-star game, a post season playoff, and oversight of the AABC South Plains Regional Tournament (a World Series qualifier). WCE understands that the league is only as good as the level of competition, so WCE will create a HCSL Rules & Governing Committee to ensure it is looking out for the best interests of the organizations, players, and fans by being proactive in governing pace of play and safety. WCE and all participating organizations will have representation on this committee. In 2017, WCE and its partners, will begin competition with a new franchise, yet to be named, in one of the country's premier summer collegiate leagues, the Texas Collegiate League (TCL). The TCL has long been recognizes being one of the top 5 summer collegiate eligibility leagues for more than 7 years now. The league is home to 6 franchises throughout Eastern Texas and Western Louisiana. The league has had more than 400 alumni get drafted by MLB organizations, and has had such star MLB players as Hunter Pence, Mark Lowe, Chris Davis and Clay Buchholz don the field of play. The new franchise will be located at Royal HS in Brookshire, TX with Coach Abe Argeullo as its 1st year coach. WCE, its partners, and the new franchise's front office will have the daunting task to promote baseball. Westchase and its ever expanding sphere of influence continue to look at and evaluate joint partners, locations, programs and services that are supportive of its mission to develop our youth and prepare them for the next phase in their lives.